Plantains look similar to bananas, yet they are more versatile and you should cook them before eating them. 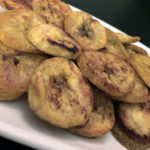 Raw plantains have a bitter taste, and cooking them brings out their flavour and makes them more appetizing. Helps make hormones like serotonin and norepinephrine, which keep moods stable, and melatonin, which regulates the body’s clock. It is one of the eight B vitamins that aid in processing food into energy and aid in metabolizing fats. Is an essential nutrient necessary for responding to injuries – it regulates normal blood clotting. In addition, it assists in transporting calcium throughout the body, Vitamin K may also be helpful for bone health. Is involved in numerous bodily functions including reproduction, immunity and communication between the cells. One of the most important jobs of vitamin A is to support your eyesight and help prevent certain eye disorders. Magnesium directly affects calcium absorption, which can avert or reverse osteoporosis. It also lowers the risk of getting type 2 diabetes by controlling blood glucose levels via carbohydrate metabolism and insulin regulation. It helps metabolize proteins and plays a role in the production of hemoglobin and red blood cells. It also helps to reduce the risk of anemia – chronic fatigue, which is common in plant based eaters, and women. Is an essential mineral that regulates your heart beat and enables your muscles to function normally. The mineral plays a role in your digestive health and helps support a strong skeleton as well. They not only offer all these vitamins and nutrients, they are also very fibrous. Fibre takes your body a while to break down, so it helps keep you feeling fuller longer. So no unwanted cravings, no overeating and no high calorie counts for the day! It also keeps your digestive tract clean and regular, so you can properly process your food and absorb the right nutrients from it. 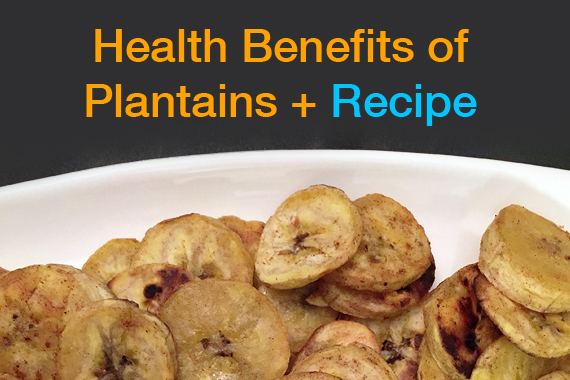 With cold season upon us, you’re going to want to get your dose of plantains. Just one small plantain offers up 40 to 60 mg of vitamin C – a nutrient vital to fighting off infections, viruses and bacteria. Not to mention it helps keep your skin and teeth healthy. The best part… with the high amount of Vitamin C it ensures your body Is properly oxygenated, and it helps you better absorb iron from the foods you eat. So this is great for plant based eaters. Need I say more? 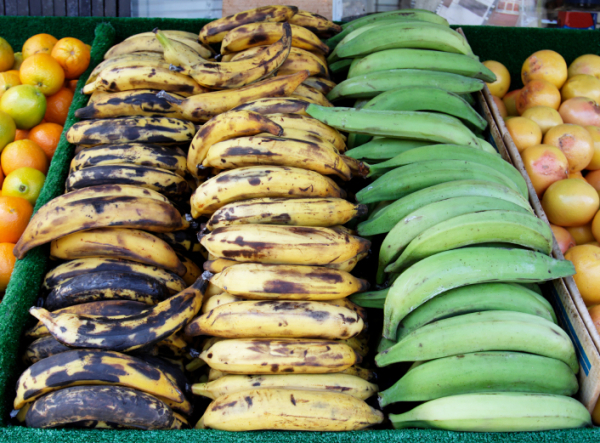 Green plantains: When plantains are green, the pulp is fairly hard and sometimes the peel must be removed with a knife. At this stage, they are starchy and not very sweet, similar to a potato. This is the best time to make “frie-like” chips. Yellow plantains: Slightly sweeter than green plantains, yellow plantains are mature and most often made into mashed potatoes. They’re best cooked, boiled or grilled. Black plantains: Despite their color, black plantains are still good to eat. They are the sweetest and softest at this point and are typically baked and eaten as a dessert. This is my favourite way to buy them, and make cinnamon chips out of them. These are a great alternative to store bought chips, you can eat them sweet or savoury! Peel and slice the plantain (about 1/4" thick). Over medium to high heat, in a large pan melt 1 tbsp of coconut oil - add the sliced plantains. Sprinkle with either cinnamon or salt. Meanwhile coat a baking sheet with the remaining coconut oil. Cook plantains until they are lightly browned, remove from pan and spread on baking sheet. Place in oven and cook another 10-15 minutes, until desired crispness. Or try them as a COOKIE!